Hironori Kanayama, President and Chief Executive Officer (CEO) of Honda Cars India Limited, is a man of diverse interests. Kanayama, now 59, has been a pioneer of many initiatives for motivating workers in his company. During December 2012, he went on stage to perform with Golden Mountain, a band of four Japanese musicians. Kanayama played the guitar in front of several workers in Greater Noida, at the Honda Car India's Foundation Day. The song that he strummed was 'Socha Hai', from a Bollywood movie. In addition to this performance, he has also played in front of workers in the Tapukura plant (Rajasthan). Honda CEO Kanayama plays guitar to the tune of 'Socha Hai' at the company's . Kanayama's leadership style is quite different from the usual method adopted by most managers. As an example, he likes to operate from a desk in the open hall where he can see all the employees, even though there is a separate room for him at the plant. Commenting on his style, a Honda executive said, “Having everyone on the same page and working towards the same goal is very important. He thinks different divisions should be talking to each other more often and associates working in different directions could harm the company's growth.” Interestingly, the manager is very fond of Indian food and enjoys staying in company accommodation, unlike many others who prefer to stay in hotels. 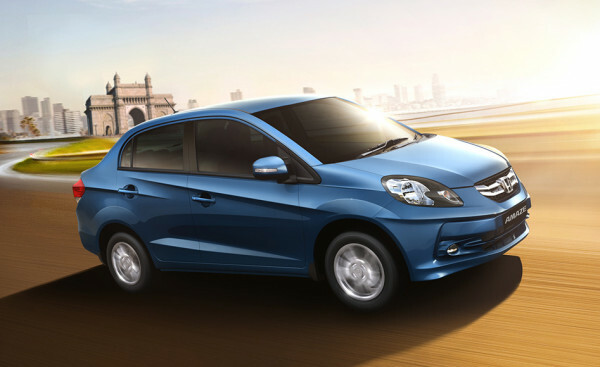 Honda Cars India has received further applause from its customers in April 2013, with the launch of the Amaze is first compact diesel sedan. This launch, pegged as a 'counter attack' by Hironori Kanayama, has been initiated after seeing buyers invest their hard earned money in diesel vehicles. With more diesel vehicles to be offered, the company is now definitely ready to take on competition from other vehicle manufacturers. India is an important market for Honda, using which it plans to achieve global sales of 6 million units by the year 2016. Kanayama says while 3 million units can be expected from the North American market, the remaining would be sold in Asian markets, where India holds a majority. Kanayama's natural aggressive outlook could be seen also when he was in China. There he was responsible for the success of the Accord, and also supervised the Jazz which was exported to Europe. He said that continuing with his insistence of high quality, India as a market will also continue to see high standards of quality being maintained by Honda. Five new models with diesel engines are in the pipeline for India, which certainly would look to change the company's market standing.